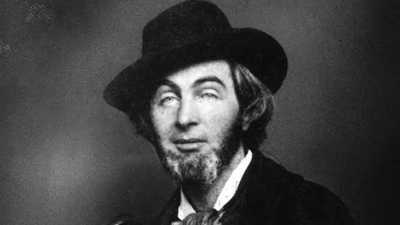 Whitman was forty-two years old when the Civil War started. Some critics would charge that he should have joined the Union Army, but anyone who knew him, like his friend and biographer John Burroughs, could hardly conceive of the mild and empathic poet as a soldier. "Could there be anything more shocking and incongruous than Whitman killing people?" Burroughs would write. "One would as soon expect Jesus Christ to go to war." Yet Whitman found another way to serve his country. 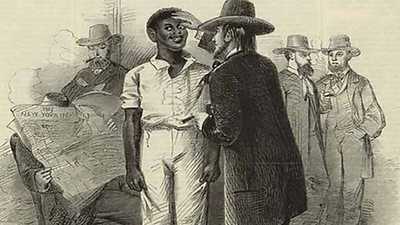 Whitman opposed slavery and supported the free soil platform advocating that only those territories that outlawed slavery should be allowed into the Union as new states. But he feared the Civil War would shatter his beloved nation. During the early years of the war he continued writing in Brooklyn, thinking as many Americans did that the war would be soon be over. His younger brother George was one of the first to enlist in the Union Army in 1861. When George's name was published on a list of wounded soldiers in the newspapers in December 1862, Walt hurried south to find his brother. Whitman was relieved to discover that George had hardly been hurt at all. 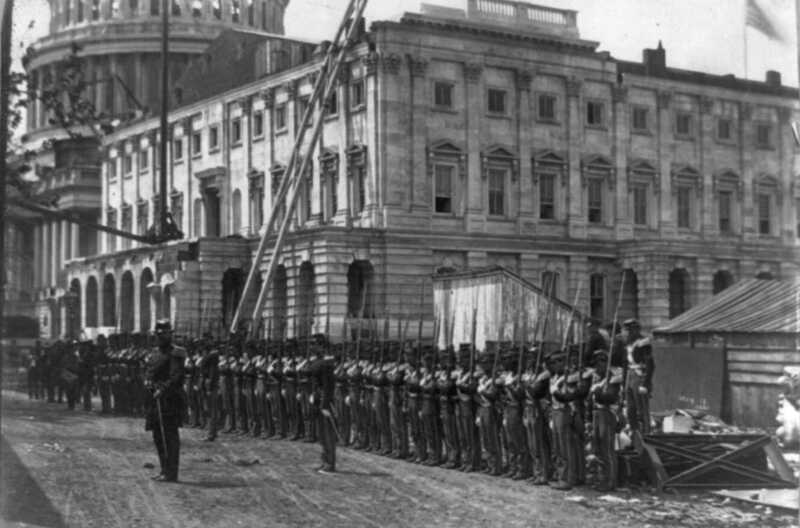 While in Washington, D.C., Whitman discovered that he had something to contribute to the war effort — himself. Hospitals were not new to him; after spending time at the bedsides of injured New York stagecoach drivers, Whitman had written about conditions in the local medical wards. In the nation's capital, Whitman began making the rounds of the hospitals offering modest gifts of fruit, candy, books, pencils and paper to the hospitalized soldiers. More importantly, he lent an ear to the young men who needed a friend. His notebook from this period bore the name of "Walt Whitman, Soldiers' Missionary." These small charities cost money. Whitman solicited donations from friends and strangers, as well as contributing his own modest salaries from clerking jobs at the Army Paymaster's Office, the Department of the Interior and Attorney General's office. He also sold articles about his experience. In a piece in the New York Times on February 26, 1863, he wrote about ministering to a despairing Pvt. John Holmes: "I sat down by him without any fuss; talked a little; soon saw that it did him good; led him to talk a little himself; got him somewhat interested; wrote a letter for him to his folks in Massachusetts." When Holmes told him he would like to buy some milk, Whitman gave him some change, and the young man burst into tears. Later the soldier would tell Whitman that his visit had saved his life. While in Washington, Whitman would sometimes see President Abraham Lincoln in the street and tip his hat. 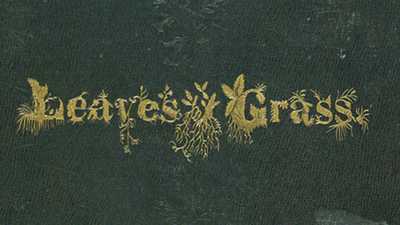 Lincoln knew of the poet; years earlier, Lincoln's law partner had carried a copy of Leaves of Grass to their office, where the future president occasionally read the poems aloud. In April 1865 Whitman was in Brooklyn, visiting his family and going over proofs of Drum-Taps, poems inspired by the war, when Lincoln was assassinated. Whitman was devastated. Just as the book was going to press, he inserted a short new poem about Lincoln's death. A few weeks later, he wrote a longer elegy, "When Lilacs Last in the Dooryard Bloom'd." Before the war, Whitman had been somewhat lost in New York, searching for a greater sense of purpose. Through his ministrations of wounded soldiers, he found that purpose and a new inspiration for his art. Whitman did not have a high opinion of the ten percent of Brooklyn residents who were of African descent, yet he thought slavery abhorrent. Although he did not have much formal schooling, Whitman was alive to the world around him, wandering through the natural bounty of Long Island and through the streets of Brooklyn and Manhattan.